Frugal & Fabulous: Review: Great Glasses from Glasses Shop! Review: Great Glasses from Glasses Shop! A couple of months ago I told you about Glasses Shop, a high quality online eyeglass shop specializing in glasses in every size, shape, color and price range. They have glasses starting from $16.95 and up, which is great! and he loves them! These glasses start at just $29.95 and have a $129 retail value! 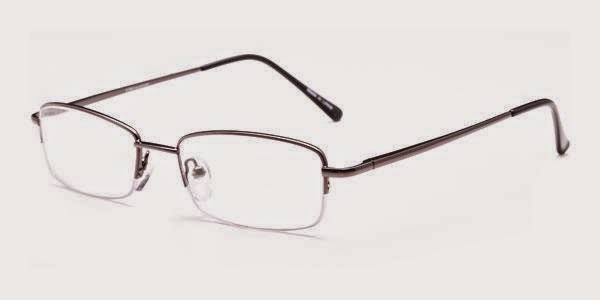 The standard frame come with: single vision lenses, anti-scratch coating, a protective case and a microfiber cleaning cloth. You have the option of upgrading to a thinner lens for an additional charge. You can also customize your lenses with coatings or colored tints for a small fee. you like and then customize them with your prescription, tint, etc! Choosing the right glasses is easy. You can start by searching by gender, price, frame type, and material. Not sure what your glasses will look like? You can try them on by uploading a picture of yourself on to the website. It's quick and simple! The ordering process is also easy, you pick your lens type and then type in your prescription. Nervous about buying glasses online? The Glasses Shop has a 90 day money back guarantee! Verdict: We love Glasses Shop for their easy ordering, good selection of lenses and great prices! The delivery is also pretty fast! We will surely order another pair for my husband in the future! Thanks for sharing I have a 7 year old daughter that started wearing glasses and she just broke her first pair :( I'm going to look and see if they carry kids frames . I am very lucky that our insurance will cover a extra pair .